This post is regularly updated before being replaced, periodically, with a new one that contains a more pertinent introduction & commentary. The intent is to give you an idea of which GPS Triathlon, Bike and Run sports devices are available NOW and likely to be superseded soon or which have been discontinued. As well as reviewing and discussing ALL of the leading endurance tech devices in detail this site also speculates about some potential devices in detail as well. IMMINENT: Others that I can’t tell you about yet … grrr. OK folks as someone famous once said, “It’s show time.” If you like reading about new tech then the Spring Bumper Edition of “Lots of stuff to read” will soon hit the shelves. If, like me, you like to have the latest greatest and buggiest tech on your wrist or on your handlebars then get your credit card ready. Actually that’s a bit unfair, much of the tech has got better on first release over the last 18 months or so. The Samsung Galaxy Watch Active and the confusingly, similarly-named Huawei Watch GT Active both demonstrate a lack of originality on the naming front. As well as similar names we are starting to see much similarity of funtionality on devices, indeed even the look and feel of some of the smart watches are very similar. However, I suspect there will be no plausible rip-offs of the quality of the Garmin MARQ series which were announced in March 2019. As promised in last month’s edition of this post, the leaks started coming in mid-March. You can expect a few more over the coming weeks but more importantly, you can also expect at least one actual, REAL device from Garmin. The 245/Music, Edge 830 and Forerunner 945 are all at ADVANCED STAGES of production and an announcement of any of them could be as soon as tomorrow. It looks like we will be getting two major product releases from Garmin in either April or May and then one release in the other month. 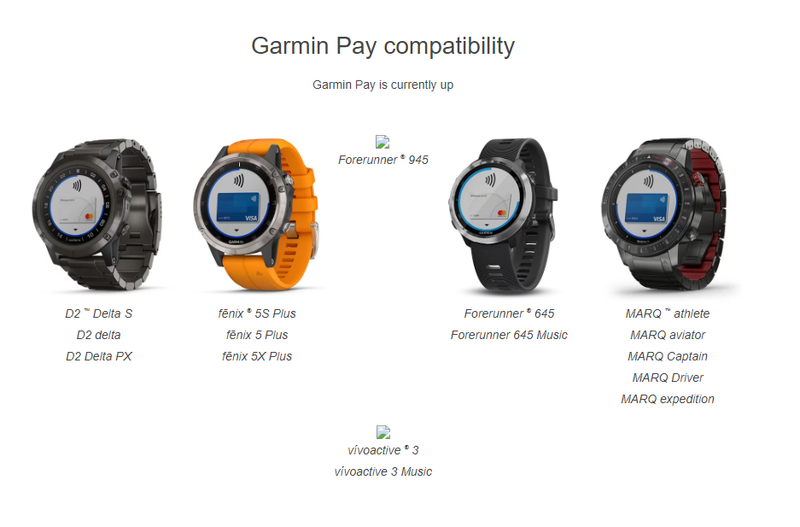 It is VERY unusual for Garmin to have two major releases in the same month. But they are churning out the new variants at great speed and I’ve even had a rumour of a Vector 4 in the fall/autumn (hmmmm…just one rumour). But hey! It’s not just Garmin. I know of 3 (5) new NON-GARMIN devices for the near future…I just can’t mention them. Grrr. Sorry. They are not in this document and I respect informal NDAs as well as formal ones. I have zero relationships with companies such as Garmin, Fitbit, Samsung and Apple (or their PRs), so they are fair game for now as far as speculating about new products goes. Hopefully that independence help me to produce fair reviews of those devices. I’m getting the feeling that SOME of the non-Garmin releases are being held back. So the impending launches that I know about could be delayed either because the companies are keen to get the tech JUST RIGHT AND BUG FREE and/or that they are rescheduling announcements around what Garmin are doing. I’m just speculating here. But remember, if you are holding off for these devices, they might come with bugs and it might only be an announcement that is made with the product’s retail availability lagging behind by a further month or so. If you have a race or trip planned for 1st May then I’d say buy what is available now and get used to how it works before the big day. The two 245s should be announced in the middle of April 2019 with retail availability very soon after. They are modified Forerunner 645/645M models ie same looks and modified functionality (hardware+features). The Forerunner 945 COULD be released at the same time as the 245 or the subsequent month. Or the Forerunner 245 could follow the Forerunner 945. BOTH ARE IMMINENT AND AT AN ADVANCED STATE OF RELEASE so I don’t know which will come first. The following image from Garmin Germany “proves” the 945 is close. The 945 COULD even see a return of the rectangular screen. Maybe. Based on a couple of rumours, my view was that the Forerunner 935 would be rebranded in 2019 and that Garmin would call it ‘something else‘. But this rumour has clearly turned out instead to be the rebranding of the CHRONOS to the MARQ. So we were close on that one. 7/10….must try harder. It is HIGHLY likely that we will soon see a HRM-TRI-DUAL as Garmin seeks to refresh all their sensors. We’ve already seen the HRM-DUAL (run version) and appelmoessite confirmed that the Edge 830 will be released along with a new SPEED-ONLY BLE/ANT+ sensor as well as a CADENCE-ONLY BLE/ANT+ sensor. Turning to hardware components; don’t forget that last year we saw Garmin enable support for GALILEO GNSS on many watches and that the MARQ heralds the arrival of the new ELEVATE oHR sensor. This new iteration of the ELEVATE sensor IS on the 245 and it doesn’t take a genius to realise that this will probably be on all new models from now on. Will Garmin enable dual-frequency GALILEO? That is what will bring greater accuracy. At present, It looks like the existing GALILEO+GPS functionality just works like GLONASS+GPS in the sense that it increases the liklihood of 5m ish accuracy. We will specualte in separate posts about which of the maps, music, Garmin Pay and Firstbeat functions will make their way to which device as the year progresses. I’ll end on a sad note. Fenix 6 will most likely be 2020. Huawei have not followed through with WearOS and, instead, have released the Watch GT Active based on their proprietary OS. I need to wrok up some courage to buy and review either this or the Galaxy Watch Active. After that I will pine for a Google Pixel watch in September. The bike computers/head units keep dribbling on to the market ranging from the Xplova X3 to the Sigma Rox Sport 12. Whilst Garmin dominate many segments of the market, my guess would be that they hold the highest %age market shares in the bike categories. Garmin’s bike strengths are their feature-sets, connectivity to all sorts of peripherals and openness to many standards and platforms. It’s difficult to know how to take Garmin on. Whilst Hammerhead are improving the navigation experience, Pioneer are playing feature catch up but adding some cool extra metrics for their power meter, Polar are relying on a sound platform (FLOW), and Wahoo are thriving on a more open approach to add functionlities via 3rd parties. And so the list would go on with competitors only attacking the many-sided Garmin castle from one or two angles. We now have the Edge 830 and Edge 530. I was critical of the 820 at launch. Despite having all the functionality and looking nice it just didn’t work in a couple of ways: it was underpowered for large-route navigation and the touchscreen was rubbish. I think I saw a Youtube of gplama with similar issues and I’ve met several people who had the same problems so I’m pretty sure it wasn’t just me. So with that track record, you might expect the Edge 830 to be beset with similar issues. Hint: nope. Garmin’s mistakes are getting fewer as time moves on. But bugs still exist. And weaknesses still exist. Garmin are just not cool. Reliability: Despite there being less bugs I REGULARLY get sent important and corrupted race files to fix. On your group rides think about how many times you hear people complaining that their Garmin has rebooted or stopped recording (or similar). I wouldn’t say it’s frequent…but you do hear people complaining often enough for it to be a concern. A year or so ago, several peple I ride with used to laugh at my old-looking Wahoo-ELMENT. They’re not laughing now and have one as well. Just sayin’. So if, like Wahoo, you can cover the common areas of functionality in some way and be cool in some other way and ‘just work’ then you have the makings of a strategy to take on the Garmin behemoth. Below is the list of ‘all’ sports devices that you may have read this article for…#Enjoy. This is my opinion of current & future devices across the GPS running/cycling market. Updates to this will be issued as and when information emerges which may include rumours, although please note that any information provided to me under NDA by manufacturers will not appear here and I won’t talk about it as I always honour agreements I make either written or verbal. So there will be a few more surprises over and above all of this 😉 I have at least a reasonable level of confidence that watches predicted for the future are broadly correct – timings and functionality may NOT be what I expect. Please let me know of errors or omissions. At the end of the table is a brief discussion about current issues and potential future features. Thank you. Enjoy. 🔵 = Expected Future Model. Bike 🔵 Edge MTB (somethin more than the 520 Plus MTB bundle) There is a gap in the market here at at least two price points. It could be filled by Garmin – just like the Instinct did for budget outdoors. Outdoors 🔴 Fenix, Fenix 2, Quatix Effectively Discontinued, not as good as subsequent models. Outdoors Fenix 5 PLUS, 5s PLUS, 5x PLUS Garmin’s flagship model for 2018-2019. Notably updated Fenix 5 models. No update for the 935 yet . Outdoors Fenix 5, Fenix 5s, Fenix 5x Garmin’s flagship model for 2017-2018. Caveat Emptor. The Plus version is the one you want to buy. Outdoors 🔴 Fenix Chronos Quality innards. F5s firmware. Expensive. Run 🔴 Forerunner 230 Probably won’t be replaced. Effectively Discontinued. Run Forerunner 235L Apr2018’s cut-down version for the Chinese market. Run Forerunner 45, 45S Imminent. Fitness 🔵 Vivoactive 4 This on Garmins lists and could be 2019, that seems too early to me. Fitness 🔵 Vivomove 4 Overdue, Could be soon, could be 2020. Could be never. Apple Fitness Watch Series 4 w/Nike Current, runs on WatchOS5. A notable hardware upgrade from the AW3. Apple Fitness Watch Series 5 Expected Sep 2019 will run on WatchOS6. Might even be good enough to finally call a sports watch. COROS Run/Tri Apex 42mm 46mm Current Oct 2018. Highly credible endurance run and tri alternative. Competent small format available. Jan 2019 a special edition announced for 46mm. Geekery Outdoors IronCloud T1 IndieGoGo Campaign Q2/Q3.2018 look but don’t touch. Cheaper Fenix 5 wannabe. Apparently, it’s folded. Caveat Emptor. Huawei Fitness WearOS Fit, Watch 2 Sport, Watch GT Active WearOS and a good spec. Current (Watch 2 was 2017 with an incremental 2018 update) The Fit was effectively the “Watch 1 Sport”. LG Fitness WearOS LM-W315, LM-305, LM-W325, LM-W319, LM-W315 could be called ICONIC. With one of the other models being the ICONIC SPORT. LM-W319 could be as soon as Sep 2018 (likely this is now the W7 which is a non-sports hybrid.) but a Watch3 derivative will be 2019. Google Fitness WearOS Pixel Smartwatch To be released in 2019. Unclear if a SPORT/FITNESS version will be released as well. Misfit Fitness WearOS Vapor 2 WearOS. Current. Mobvoi Fitness WearOS Ticwatch S 2017 WearOS 2.0 budget sports watch. Ticwatch E is cheaper and non-sport version. Ticwatch 2, Active and Classic are different – not WearOS. Replaced by S2. Polar Run/Tri Vantage M More run-focussed than the V model and a bit more than the M430. Skagen Fitness WearOS Falster 2 With GPS added, this now counts as a sports watch. It aims to be seen as the prettiest. Suunto Various Ambit 4 The SPARTAN TRAINER is the replacement to the AMBIT3, at least in terms of looks. Suunto Fitness Suunto 3 Fitness Current. Low-end model with interesting specs. GPS only from paired and carried smartphone. TomTom Outdoors 🔴 Adventurer Still a great watch. But it looks like TomTom sports division is closed down. Wahoo Fitness Bike? ELEMNT New ??? Speculation for Q3 2018/19. CEO/Chip is on record saying Wahoo are looking beyond cycling. Could be a swim watch, who knows? There are probably also some Kickstarter and Indegogo type new models planned. My broad opinion is that if this is the first sports watch from a company with no track record then you will lose your money. Spend a little bit extra and instead get a real product now. Note: information that has become available about accessories is NOT included (too many of them). There are also too many Power Meter variants for me to keep track of. I have more than a passing interest in PMs for triathlon disciplines but I don’t keep an eye on the whole market – the document I keep up-to-date on PM is my guide to the best power meter. I’m generally going to exclude wrist bands from the lists above, like the Vivokids v2, although some bands have sneaked in there already. The big trend is ‘not here guv’….the smart money is now in MEDICAL-WEARABLE tech rather than sports wearable tech. Otherwise: there will still be innovation in higher res colour screens; music (on watch and live-streamed thru eSIM/nano SIM); battery-duration innovation; <1m GPS accuracy Galileo now in many devices BUT for IMPROVED accuracy we need DUAL FREQUENCY GALILEO; vendor apps/app store (eg Fitbit Pay, Garmin Pay, Apple Pay, Ali Pay); WORKOUT DATA standards, openness and integration; mapping/navigation (on watch and thru eSIM); support for novel accessories & sensor data – environmental (weather), physiological (hydration, blood glucose, blood pressure) & spatial (radar); optical HR; deep smartphone integration (WearOS, Apple, proprietary); common firmware across numerous watch variants; simultaneous dual-band workout recording (ZWIFT+your main recording device with BLE); on-watch SIM/eSIM (for live services like CRASH and WEATHER and FRIEND LOCATIONS mostly for cyclists and STREAMED MUSIC for runners); smart home integration/Internet of Things integration; integration of video recording onto Bike computers. We might also see voice activation ‘OK Garmin’ for CIQ apps but which also trigger sports functionality like ‘take a lap’ or ‘change screen’. Improvements on the wrist might see more accurate ECG/EKG. Battery tech will also see on-the-wrist battery charging from body heat and solar cells. Music on watches has still not been properly addressed but it is getting there. You might cite TomTom 3, Apple Watch, Garmin Forerunner 645M/VA3M/F5SPlus/245M/945 and WearOS as all including running with music capability but eventually someone needs to figure out how to properly support multiple, live streaming services (albeit with only one active). But just how exactly will live streaming services be properly handled other than through on-watch SIM? – answer? Vivoactive 3M Verizon. Very few sports+music watches have an eSIM eg Apple, LG and Samsung, instead, they rely on BLE or WiFi to sync your music from your online music provider rather than streaming out-of-doors. Another trend that is yet to start with RUNNING TO MUSIC is that of support for Quality CODECS eg AptX and AptX HD, these are not supported on any running watches AFAIK. Product Cycles: Some companies try to copy the Apple model of a new version each year. That needs a LOT of R&D to make plausible improvements. Furthermore, the arrival of material improvements in functionality can stagnate, as phone handset manufacturers are now finding. Garmin often has more plausible 2-3 year cycles for a replacement model – but their vast range of products keeps the marketing department continually busy. When Garmin announced a new hardware ‘base’ (usually the highest spec one) there then follows various cut-down versions to make cheaper less able devices – they can have cheaper components &/or restricted firmware, whilst essentially otherwise being the same product. Your smartwatch is clearly going to become more like your smartphone. The small screen poses a problem and the only real way that can be addressed in the short term is though voice-control. In 2019 I’ve used ‘OK Google’ stuff at home much more and it’s not so shabby at all. Things will only get better. If this content helped you and if you’d like to help support this site in return or ask questions, then please consider becoming a supporter. Thank you.Supporters: I am not a salaried journalist and rely on support from readers to keep the free content coming. If you want to support the work here then ad-free subscription starts at 49p (about 65c). Alternatively buying anything from my partners, below, also helps and may also get you a great discount. Thank you! Comments disabled (or should be if I remembered). While it may be the case that Suunto Ambit 3 series is “Still great devices. In many ways superior” (I’ve never owned one), Suunto is planning to scrap Movescount in a little more than a year and has announced that the replacement Suunto App will have only limited support for the Ambit 3 series (and none at all for Ambit/Ambit2). Might be worth adding a caveat? Last time I checked, Suunto was still offering the Ambit 3 on its website without indicating that buyers won’t be able to use some of the functionality after Movescount goes offline. I suspect a future path will exist and/or that the migration date will slip notably.